Tizanidine has rarely caused very serious (rarely fatal) liver disease. Tell your doctor right away if you develop symptoms of liver disease, including: persistent nausea/vomiting, severe stomach/abdominal pain, dark urine, yellowing eyes/skin. List Zanaflex side effects by likelihood and severity. Before using this medication, tell your doctor or pharmacist your medical history, especially of: low blood pressure, kidney disease, liver disease. Some products that may interact with this drug include: certain drugs to treat high blood pressure (alpha agonists such as clonidine, methyldopa). Tell your doctor or pharmacist if you are taking other products that cause drowsiness including alcohol, marijuana, antihistamines (such as cetirizine, diphenhydramine), drugs for sleep or anxiety (such as alprazolam, diazepam, zolpidem), other muscle relaxants, and narcotic pain relievers (such as codeine). 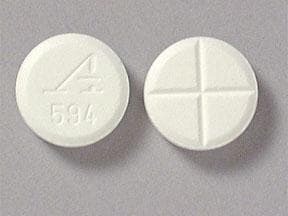 This medicine is a white, round, double-scored, tablet imprinted with "A 594". 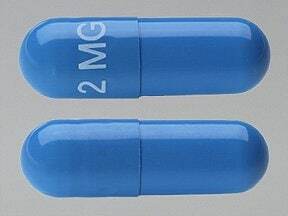 This medicine is a blue, oblong, capsule imprinted with "2 mg". 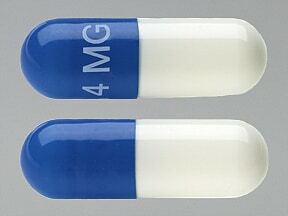 This medicine is a light blue white, oblong, capsule imprinted with "4 mg". 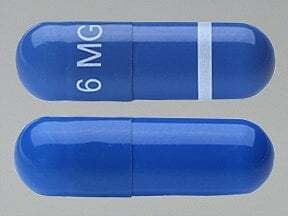 This medicine is a light blue, oblong, capsule imprinted with "6 mg". Are you considering switching to Zanaflex? How long have you been taking Zanaflex?